Should You Stop and Help? You are driving along the highway and you see a dog running along the shoulder, veering perilously close to oncoming traffic. Do you stop and try to get the dog into your car and out of danger? You see a skinny cat sniffing around your trash and searching for food around your house. Do you try to lure the cat inside and get it help? These animals could be someone's lost pet. They could be a little girl's best friend. They could be the beloved center of a family. If you lost your pet, you would probably be devastated to think of them wandering the streets cold, hungry and scared. Since you would hope that someone else would save your pet and help you reconnect, you want to do the same. How do you help while also keeping yourself safe? Even domesticated animals who are lost can become scared, confused and aggressive. You never know how an animal might react to you, so it is important that you approach with caution. The American Humane Society says that you should approach unknown animals slowly, using a calm and gentle voice. You should never surprise or startle an animal, so be sure to “announce” your presence by talking softly or making a gentle clucking sound or whistle. Walk toward the animal with a slightly crouched posture to make yourself seem less intimidating, but don’t get down on your hands and knees. You should be able to move quickly if the animal becomes aggressive. Stop about 10 to 15 feet from the animal and offer your hand in a downward position, like a paw. Let the animal come the rest of the way to you. If the animal is still reluctant to come to you, you may be able to use food or treats to lure it. Pet the animal on the sides or back and let it sniff you. Once the dog or cat has become comfortable, you can use a leash or cat carrier to get the animal in your car. Dogs and cats who have become lost can be afraid and disoriented, which can make them aggressive when approached by strangers. Other animals that look like they may be someone's pet can actually be feral or may have become wild from being left to roam free for an extended period. Knowing the warning signs that an animal gives you can help you avoid an attack and stay safe while you are trying to help. Signs of aggression in cats include hissing, spatting and growling. Dogs may snarl, bare their teeth or bark. Both cats and dogs may become stiff, lower their head, lay their ears back, raise the hairs on their back or lower their tail at a “half-mast” position. Dogs can also display aggression by making eye contact. If you approach an animal displaying any of these signs, it is important that you stop immediately. Do not make eye contact, and do not continue to approach. Stand still and remain calm. Slowly back away, but do not run. Running can trigger an attack. Once you are out of harm's way, note the exact address or location of the animal and call animal control. 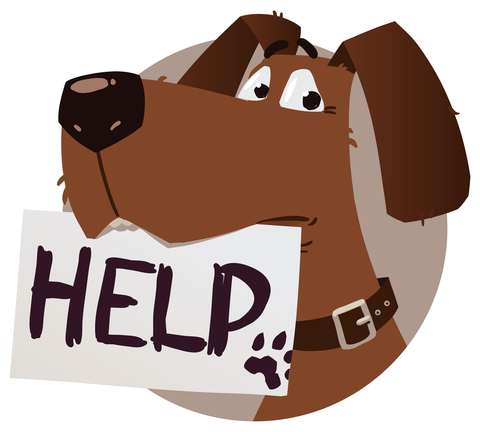 Someone with the proper training can come rescue the animal and attempt to reunite it with its owner, if it has one. Once you have picked up the animal and got it back to your house, you can start the work of finding its owner and reuniting it with its family. Start by checking for any ID. Is the dog or cat wearing a collar? Are there any tags that show the name of the animal, the contact information of the owners, or information verifying rabies shots? Any information found on the collar can help you in your search. Take the animal to a local veterinarian to be scanned for a microchip. Many animals receive them when they are adopted out from local animal shelters, and they include information about the owners and how to contact them. If the animal does not have a microchip, you can try to find the owners yourself or take the dog or cat to animal control. Many people who lose pets will check with animal control first to check for any recently captured or surrendered strays. You have a good chance of reuniting the pet with its owner by taking it to animal control. If you want to find the owners yourself, create a flyer with a picture of the dog or cat and any information you can include, such as where the animal was found, distinguishing traits you noticed, or personality issues. Hang the flyers in the area where you found the animal and in popular locations around town, such as parks or community centers. Post a classified ad on sites like Craigslist or The Center for Lost Pets, as well. Pets can become like family members. Think about how you would feel if a member of your family went missing. If you see a stray animal, it's worth trying to help so you can reunite that pet with its family. Just make sure you do it safely.